Do you know how quick and easy it is to use DART to travel to the Highland Park Municipal Court? Simply visit DART’s Trip Planner to find your bus route(s) by entering Drexel Avenue & Euclid Avenue as your destination point. If riding by bus, you may transfer from one of the many DART bus routes to Mockingbird Station where, if you call at least 24-hours in advance, DART’s On-Call will take you directly to, and from, Municipal Court. 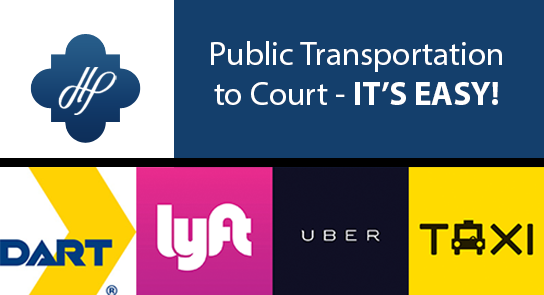 In addition to DART, you may consider various taxi-cab services, Lyft or Uber for quick and easy transportation to visiting Municipal Court.